Louth Contemporary Music Society presents Michael Gordon’s Timber performed by Mantra Percussion from New York. 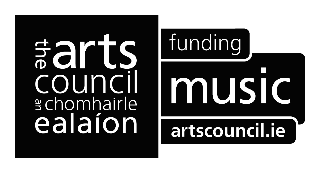 The performance will take place in St. Peter’s Church of Ireland at 8pm on Saturday 4 May 2013 as part of the Drogheda Arts Festival 2013. There’s something primeval about guys banging on wood. But the New York percussion group Mantra takes such primitive pounding to a surprisingly refined level. For composer Michael Gordon’s mesmerizing new work – Timber, written for six two-by-fours pieces of timber – Mantra Percussion over the course of an hour, wring a rich array of sounds from the lumber, from chorale-like resonance to cascading Steve-Reich-like shifting phases. Michael Gordon writes music that explores the extreme possibilities of rhythm, dynamics and texture. Gordon showcases his signature dynamic waves of textures and polyrhythms in Timber, an evening-length work for six percussionists. 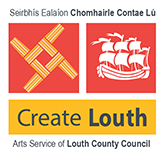 Timber is funded by the Arts Council and financially supported by Create Louth. Hailed by the New York Times as “…finely polished…a fresh source of energy,” Mantra Percussion is dedicated to performing groundbreaking works for large ensemble, commissioning music from emerging and established composers to substantially expand the future of percussion, and performing classic percussion works to remind us why we are here. Mantra has been featured on the Moving Sounds Festival, Ear Heart Music Festival, F(x) Miami Marathon, Hi Fi Music Festival, Music on MacDougal Series, and Make Music NY and has performed at some of today’s most forward thinking music venues including new music hot spots Le Poisson Rouge, and Tenri Cultural Institute. Members of Mantra Percussion have performed at concert series and festivals such as the Lucerne Festival, Bang on a Can Marathon, Bang on a Can Summer Music Institute, Darmstadt, the International Ensemble Modern Academy, and Tanglewood and have performed with groups such as the San Francisco Contemporary Players, the Lucerne Festival Percussion Group, the Bang On A Can All-Stars, the New Jersey Percussion Ensemble, Sospeso Ensemble, Either/Or, Philadelphia Virtuoso Society, Red Light New Music, S.E.M. Ensemble, Argento Chamber Ensemble, International Contemporary Ensemble, Wet Ink Ensemble, Zs, and Hi Red Center. Recently they collaborated with Dither Guitar Quartet in a commissioning project for new works for electric guitar quartet and percussion quartet. Deeply passionate about the sonic potential of the traditional orchestra, Gordon’s orchestral works include Rewriting Beethoven’s Seventh Symphony, a radical reworking of the original, commissioned by the 2006 Beethoven Festival in Bonn and premiered by Jonathon Nott and the Bamberger Symphony; and Sunshine of your Love, written for over 100 instruments divided into four microtonally tuned groups. Under the baton of composer/conductor John Adams, The Ensemble Modern Orchestra toured Sunshine of your Love to seven European capitals in 1999. Gordon’s string orchestra piece Weather was commissioned by the Siemens Foundation Kultur Program, and after its tour was recorded and released on Nonesuch to great critical and popular success. His interest in exploring various sound textures has led him to create chamber works that distort traditional classical instruments with electronic effects and guitar pedals, including Potassium for the Kronos Quartet and Industry for cellist Maya Beiser. Also for Kronos, The Sad Park, written in 2006, uses the voices of child witnesses to September 11th as its subject. Gordon’s monumental, 52-minute Trance, originally written for the UK-based group Icebreaker, was debuted in 1997 and recently performed twice in New York City by the ensemble Signal. Michael Gordon’s special interest in adding dimensionality to the traditional concert experience has led to numerous collaborations with artists in other media, most frequently with filmmaker Bill Morrison and Ridge Theater. In Decasia, a commission from Europaischer Musikmonat for the Basel Sinfonietta, the audience is encircled by the orchestra and large projections. A large-scale, single-movement, relentlessly monumental work about decay – the decay of melody, tuning, and classical music itself – Decasia has become a cult favorite since its premiere in 2001, frequently performed at music festivals, art museums and film festivals around the world. Gordon and Morrison’s works together also include two film symphonies centered on cities: Dystopia (about Los Angeles) in 2008 for David Robertson and the Los Angeles Philharmonic, and Gotham (about New York City) in 2004 for the American Composers Orchestra. Works for theater and opera include What To Wear, a collaboration with director Richard Foreman, which premiered at the REDCAT Theater in Los Angeles; Aquanetta, about the 1940s B-Movie starlet for Oper Aachen; Lost Objects, an oratorio for baroque orchestra in collaboration with David Lang, Julia Wolfe and director Francois Girard, which was seen at the 2004 Next Wave Festival at BAM; and Van Gogh, vocal settings from the letters of Vincent Van Gogh, recorded by Alarm Will Sound. Most recently, Gordon again collaborated with Ridge Theater on the multi-performer song cycle lightning at our feet, co-commissioned by Cynthia Woods Mitchell Center for the Arts at the University of Houston and the Brooklyn Academy of Music for the 2008 Next Wave Festival. lightning at our feet straddles arts media, giving Dickinson’s poetry mobility in music while encompassing her words in a world of visual imagery. Gordon’s music has been featured prominently in the dance works of Emio Greco | PC, Wayne McGregor (for Stuttgart Ballet, Random Dance), Pina Bausch’s Tanztheater Wuppertal, Heinz Spoerli (for Zürich Ballet), Ashley Page (for The Royal Ballet and The Scottish Ballet) and Club Guy & Roni. His recent project [purgatorio] POPOPERA is a guitar piece written for seven dancers from the Emio Greco|PC company who, before originating the piece, did not know how to play guitar. The resulting 75-minute work debuted in 2008 at the Holland Music Festival and will tour the US this fall. The music was recently released as an EP on the Cantaloupe label. Gordon has been commissioned by Lincoln Center, Carnegie Hall, the BBC Proms, the Brooklyn Academy of Music, Settembre Musica, the Holland Music Festival, the Dresden Festival and the Sydney 2000 Olympic Arts Festival, among others. His music has been performed at the Kennedy Center, Theatre De La Ville, Barbican Centre, Oper Bonn, Kölner Philharmonie and the Southbank Centre. The recipient of multiple awards and grants, Gordon has been honored by the Guggenheim Foundation, the National Endowment for the Arts, the Foundation for Contemporary Performance Arts, and the American Academy of Arts and Letters. His recordings include Weather (Nonesuch), Light is Calling (Nonesuch), Decasia (Cantaloupe), (purgatorio) POPOPERA (Cantaloupe), Van Gogh (Cantaloupe), Trance (Argo/Cantaloupe), and Big Noise from Nicaragua (CRI). Gordon’s music is published by Red Poppy (ASCAP) and distributed worldwide by G. Schirmer. Formed in 1983 as The Michael Gordon Philharmonic and renamed The Michael Gordon Band in 2000, Gordon’s own ensemble performed across Europe and the United States at venues as diverse as Alice Tully Hall and the punk mecca CBGB, on the Contemporary Music Network Tour and at the Almeida Festival in London.